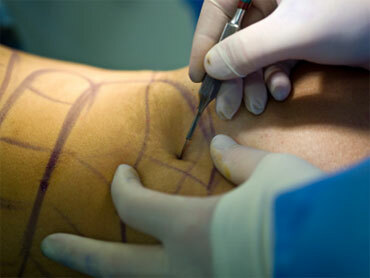 Last year - despite the recession - there were about ten million cosmetic procedures in the United States. According to the American Society for Aesthetic Plastic Surgery, over 90 percent were in women and about 1.5 million were surgical. The top five surgical procedures were breast augmentation (311,957), liposuction (283,735), eyelid surgery (149,943), rhinoplasty (138,258), and abdominoplasty (127.923). As you awaken on the morning of your elective surgery, there's no way you haven't yet met the surgeon who will be performing the procedure. But odds are you still haven't met the person who will be most responsible for keeping you alive: the anesthesiologist. The anesthesiologist is more than just the person who controls pain during the procedure. He or she is responsible for keeping your blood pressure, pulse, and oxygen level at the proper levels and for resuscitating you if something goes wrong. In the best of all worlds, you have seen your primary care provider prior to the day of surgery and been medically cleared. But it's up to the anesthesiologist to reassess your condition and, if needed, cancel the procedure. In my mind, there are two main reasons why an anesthesiologist should recommend canceling an elective procedure - cosmetic or otherwise (such as back surgery). The patient is medically too sick to undergo surgery and the risks outweigh the benefits. An example would be a person whose diabetes is out of control and blood sugar levels are too high. The anesthesiologist feels the procedure is not indicated. The first reason is not controversial at all. The second is sure to raise a few eyebrows - and not cosmetically. I've never heard of an anesthesiologist recommending canceling a procedure for reason number 2 (readers: please let me know if you have). Traditionally, the role of explaining the pros and cons of a procedure and obtaining consent falls primarily on the shoulders of the surgeon - as well it should. In my personal experience, surgeons have been extremely thoughtful and conscientious about trying to make sure the right patient gets the right procedure. But multiple studies have shown that the process of informed consent is flawed and that many procedures would never be done if all the options - including doing nothing at all - were properly explained. When everybody else - surgeon included - are swept up in a decision to do a procedure that's not in the best interest of the patient (such as one too many plastic surgeries), the anesthesiologist represents one last chance for somebody to speak up and say, "not on my watch." I suspect this would be necessary relatively rarely - but it would be a nice safety net for the patient. For this week's CBS Doc Dot Com, I speak to anesthesiologist Dr. Panchali Dhar about her new book, "Before The Scalpel: What Everyone Should Know About Anesthesia."